Come and meet some of the most influential and helpful people on Catan. They are offering their skills and experience to help you with you building plans. 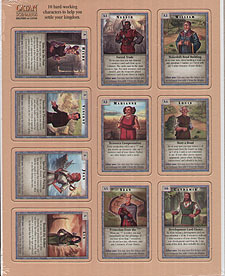 This small expansion is suitable for use with"The Settlers of Catan" and "Seafarers".